United States President Donald Trump has taken on many adversaries. Immigrants, Hillary Clinton, and fellow NATO members; actors in the global system have all drawn the ire of the US leader. 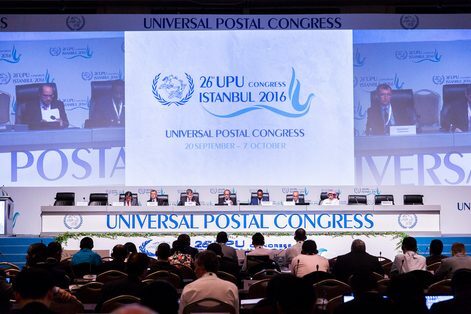 Recently, the President has taken aim at a new enemy, one who causes “longstanding distortions” in the US economy – the United Postal Union. 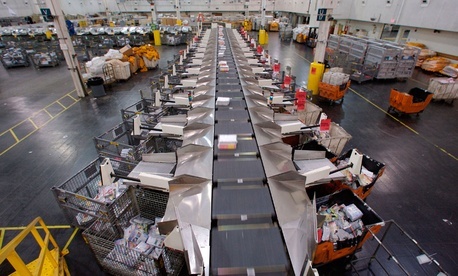 The United Postal Union, or UPU, is the body in charge of international shipping. They are the regulating body that acts as the mediator between shipping associations worldwide, and notably are in charge of a fee structure known as terminal dues. Set up in 1969 to help in ending decolonization, terminal dues force the majority of shipping costs to fall on the richer country, sometimes up to 80 percent of the total shipping charge. This causes the United States Postal Service (USPS) to take the brunt of costs on exports, which it then passes onto its clients by law. This makes Trump very unhappy. Not only does it raise the shipping costs of American exporters, which then have to include the cost in their balance sheets, but it also makes the importing of foreign goods much cheaper. Inexpensive goods comprise most of this externality; anecdotally, it is often cheaper to purchase an imported good, shipping included, than it is to simply ship a domestic good. This is a new take on the President’s anti-tariff measures. In pushing for parity among states globally, the President has cracked down on measures that were taken for granted in older administrations. Trump has offered one of two possibilities moving forward; he has proposed that the USPS be reimbursed for its increased expenditures by the receiving country, or has threatened to have the USPS charge its own rates to consumers and producers alike. Both policies threaten the foundations of parity on which the UPU and terminal dues were founded on and are harmful to consumers in the long run, acting as an implicit VAT. As a result people in poorer countries, who are usually the ones likely to buy goods from the United States, are less likely to purchase goods from American producers, inherently reducing the profit of American companies. Trump has been critical of USPS policies and the global postal system as a whole since April, when he criticized Amazon for its undisclosed shipping arrangement with the Postal Service. Fundamentally, this issue is about Trump’s “America First” policies. The President believes that imports are generally bad for the US economy, while exports and domestic consumerism is good. This is a narrow view of what comprises the US standard of living, however. Imported goods may be of a higher quality due to the rigors of high product volume, and the relatively low cost allows United States consumers to spend more on more impactful purchases, such as of a home or in higher education. In addition, shifting production of domestic goods overseas forces the United States to continue to evolve as an economy. If the priorities of the United States remained in manufacturing, the country likely would not be able to meet the needs of the increasingly global economy. As consumers begin to focus on more technology- and development-intensive products such as iPhones and Netflix, the greatest value added comes not from the manufacture of those products, but from the support and design of those products. Although the President is preying on domestic fears of another massive recession, the numbers simply don’t support it. The United States operates at nearly full potential, with more job openings than unemployed people. If the United States were to implement a policy that reduced shipping costs or increased the prices of foreign goods, it may shift the economic incentives towards a robust domestic manufacturing sector, which, while positive at first, would put the United States woefully behind in the growing race for tech hegemony. While the United States may want to get a more beneficial deal in global shipping, it likely needs to give up on forcing the issue. In addition to raising the ire of potential allies, it also takes the US economy in an unsustainable direction.